Marilyn Peterson Armour & Mark S. Umbreit, "Assessing the Impact of the Ultimate Penal Sanction on Homicide Survivors: A Two State Comparison," 96 Marquette Law Review 1 (2012). Murder Victims’ Families for Human Rights released a report entitled “Creating More Victims: How Executions Hurt the Families Left Behind" (2006). Families of the executed are victims, too, according to the new report, which draws upon the stories of three dozen family members of inmates executed in the United States and demonstrates that their experiences and traumatic symptoms resemble those of many others who have suffered a violent loss. “I don’t think people understand what executions do to the families of the person being executed,” says Billie Jean Mayberry, one of the family members featured in the report. Mayberry’s brother, Robert Coe, was executed in Tennessee in 2000. “To us, our brother was murdered right in front of our eyes. It changed all of our lives.” “Creating More Victims” includes recommendations for mental health professionals, educators, and child welfare advocates. MVFHR also plans to deliver the report to the United Nations High Commissioner on Human Rights and request that that office undertake further study of the impact of executions on surviving families. For a copy of the report, contact Susannah Sheffer, 617-512-2010, [email protected]. For more information about MVFHR, visit www.mvfhr.org. "Dignity Denied: The Experience of Murder Victims' Family Members Who Oppose the Death Penalty" (2002). This report released by Murder Victims' Families for Reconciliation provides an account of the experiences of murder victims' family members who oppose capital punishment and steps that can be taken to protect these individuals from discrimination based on this opposition. "Dignity Denied" challenges lawmakers, the federal government's Office of Victims of Crime, and leaders within the victims' services community to address past and current discrimination and commit to equitable treatment of survivors of homicide victims. Specifically, the report offers model legislation and recommends that victims' rights laws be amended to ban unequal treatment based upon a victim's position on the death penalty. It also states that victims' services should be administered independently, not as part of the prosecutor's office, and that leaders in the victims' services community should develop protocols for serving victims' families who oppose the death penalty. Jeanne Bishop has written a new book about her life and spiritual journey after her sister was murdered in Illinois in 1990. 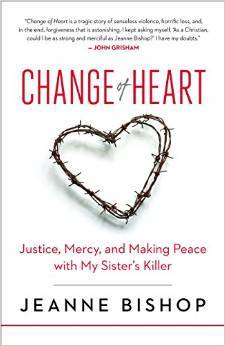 Change of Heart: Justice, Mercy, and Making Peace with My Sister's Killer tells Bishop's personal story of grief, loss, and of her eventual efforts to confront and reconcile with her sister's killer. She also addresses larger issues of capital punishment, life sentences for juvenile offenders, and restorative justice. Former Illinois Governor George Ryan said of the book, "When I commuted the death sentences of everyone on Illinois's death row, I expressed the hope that we could open our hearts and provide something for victims' families other than the hope of revenge. I quoted Abraham Lincoln: 'I have always found that mercy bears richer fruits than strict justice.' Jeanne Bishop's compelling book tells the story of how devotion to her faith took her face-to-face with her sister's killer .... She reminds us of a core truth: that our criminal justice system cannot be just without mercy." (J. Bishop, "Change of Heart: Justice, Mercy, and Making Peace with My Sister's Killer," Westminster John Knox Press, 2015; DPIC posted Feb. 19, 2015). A new book by Professor Jody Lynee' Madeira of the Indiana University School of Law follows the aftermath of the Oklahoma City bombing to explore whether the families of murder victims obtain closure from an execution. 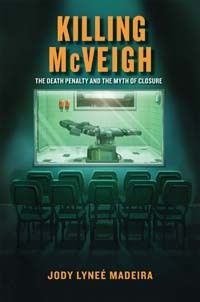 In Killing McVeigh: The Death Penalty and the Myth of Closure, Prof. Madeira recounts her wide range of interviews with those who experienced this tragedy first-hand. Regarding the book, Professor Carol Steiker of Harvard said, “Everyone seems to have an opinion about whether the execution of murders can offer ‘closure’ to the victims’ loved ones. Finally, we have a study that has investigated the largest, most media-saturated mass murder and execution in recent times….Madeira’s in-depth, fair-minded, and sensitive account opens a window for us into the struggles of those affected and explores the complicated role that our public institutions of criminal justice play in the complex and difficult work of reconstructing life after atrocity.” (J. Madeira, "Killing McVeigh: The Death Penalty and the Myth of Closure," New York University Press (May 2012); DPIC posted May 23, 2012). 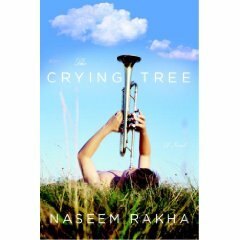 The Crying Tree is a new novel by Naseem Rakha that raises the real-life question: Could you forgive the man who murdered your son? Rakha is an award-winning broadcast journalist whose work has been heard on NPR's "All Things Considered" and "Morning Edition." The story of her novel is told through the lives of a mother whose son was murdered and the superintendent of a state penitentiary where the defendant's execution is to take place. Sister Helen Prejean, author of Dead Man Walking, said in review, "For anyone who has ever wondered how forgiveness is possible, even when the pain is overwhelming, wonder no more. The Crying Tree takes you on a journey you won't soon forget." (N. Rakha, "The Crying Tree," Broadway Books, 2009). 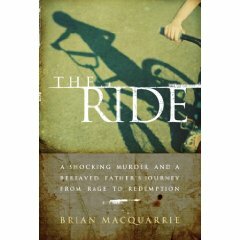 The Ride: A Shocking Murder and a Bereaved Father’s Journey from Rage to Redemption is a new book by Brian MacQuarrie that explores a parent's grief and subsequent transformation through the story of Robert Curley in Massachusetts. Curley's 10-year-old son, Jeffrey, was a victim of abduction and murder in 1997. The murder shocked and outraged the community of East Cambridge outside of Boston. MacQuarrie explores the father's evolution “from grief to anger to activism against predators,” and from being an outraged father demanding the death penalty for his son’s murderer to an outspoken critic of capital punishment. Delving deeper into the issue, the author looks at the struggle of Massachusetts residents as they decide whether to reinstate capital punishment. Senator John Kerry calls the book, a “compelling and deeply moving…story of Bob Curley’s journey to hell and back.” Sister Helen Prejean said "Robert Curley's radical transformation is a lesson for us all." The book may be purchased here and at major bookstores. MacQuarrie has been a reporter at the Boston Globe for 20 years. (B. MacQuarrie, “The Ride: A Shocking Murder and a Bereaved Father’s Journey from Rage to Redemption,” Da Capo Press, 2009). 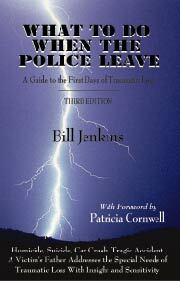 What To Do When the Police Leave by Bill Jenkins is filled with simple, frank and useful advice vital to families suffering a traumatic loss. This book is a victim's voice speaking to victims offering help in the face of helplessness. The author shares expert advice, lists helpful resources demystifies legal and medical jaron, and affirms hope in the midst of tragedy. Bill Jenkins is a professor of Speech and Drama at Virginia Union University. Since the tragic shooting of his son he has become active in various victim support and rights efforts. In "Don't Kill in Our Names: Families of Murder Victims Speak Out Against the Death Penalty," author Rachel King presents the stories of 10 Murder Victims' Families for Reconciliation members. Throughout the book, King examines the reasons why these survivors choose reconciliation over retribution and why they actively oppose capital punishment. Using first-hand accounts and third-person narrative, King presents the stories in the context of the nation's on-going death penalty debate. King is legislative counsel for the American Civil Liberties Union. (Rutgers Press, 2003). For more information, visit Rutgers Press. Capital Consequences: Families of the Condemned Tell Their Stories is a new book by Rachel King of the ACLU's Capital Punishment Project. The book focuses on the impact that the death penalty has on the families of those who have been condemned to die. King, who also wrote Don't Kill in Our Names: Families of Murder Victims Speak Out Against the Death Penalty, describes these individuals as the unseen victims of capital punishment and highlights the experience of having loved ones on death row using personal accounts and a moving narrative voice. King notes that because their pain tends to attract less attention and empathy than the hurt of crime victims' families, many family members of the condemned suffer alone. Though the book uses the stories of the condemned to depict the flaws in the judicial system, its clearest message is that tragic events have tragic consequences that reach far beyond their immediate victims. (Rutgers University Press, 2005). Journey of Hope - Bill Pelke tells of the life-altering transformation that occurred after his 78-year-old grandmother was murdered by four teen-aged girls in his book, Journey of Hope...From Violence to Healing. Though at first he supported the death penalty for 15-year-old Paula Cooper, one of the young girls who had murdered his grandmother in her home for $10 and an old car, he later opposed her execution and successfully fought to have Cooper's death sentence overturned. The book follows his personal journey over many years and features a forward by Sister Helen Prejean. (Xlibris Corporation, September 2003). "Hidden Victims," a new book by sociologist Susan F. Sharp of the University of Oklahoma, examines the impact of capital punishment on the families of those facing execution. Through a series of in-depth interviews with families of the accused, Sharp illustrates from a sociological standpoint how family members and friends of those on death row are, in effect, indirect victims of the initial crime. The book emphasizes their responses to sentencing, as well as how they grieve and face an impending execution. Sharp also examines the issues of wrongful conviction and the change in family structure after a loved one has been sent to death row. The book contains a foreword by death penalty expert Michael Radelet. (Rutgers University Press, 2005). Murdering Myths: The Story Behind the Death Penalty, a book by Judith W. Kay, uses the personal experiences of both crime victims' families and those on death row to examine America's beliefs about crime and punishment. Noting that researchers have raised questions about the execution of innocent people, racial bias in sentencing, and capital punishment's failure to act as a deterrent, Kay asks why Americans still support the death penalty. She uses interviews with those most closely impacted by violent crime and capital punishment to examine whether punishment corrects bad behavior, suffering pays for wrong deeds, and if the victims' desire for revenge is natural and inevitable. Kay is an associate professor of religion at the University of Puget Sound. ("Murdering Myths: The Story Behind the Death Penalty," Rowman & Littlefield Publishers, Inc., June 2005). Wounds That Do Not Bind: Victim-based Perspectives on the Death Penalty, a book by James R. Acker and David Reed Karp, examines how family members and advocates for victims address the impact of capital punishment. The book presents the personal stories of victims' family members and their interactions with the criminal justice system. It also examines the relevant areas of legal research, including the use of victim impact evidence in capital trials, how capital punishment affects victims' family members, and what is known about addressing the needs of the survivors after a murder. (Carolina Academic Press, 2006). Symposium: Pamela Blume Leonard, Michael Mears, John H. Blume, Stephen P. Garvey, Samuel R. Gross, Richard Burr, et al. : "Victims and the Death Penalty: Inside and Outside the Courtroom," 88 Cornell Law Review 257 (2003). This is a series of articles in the Cornell Law Review stemming from a symposium focusing on the role that victims play in capital cases. The journal provides a close legal examination of victim impact statements and related research, expert analysis of state statutes, and an analysis of what role these statements should play in capital trials. Vivian Berger, "Payne and suffering - a personal reflection and a victim-centered critique," 20 Florida State University Law Review 21 (1992). Juanita Perez (Guest Columnist), Mom of murdered son finds 'only pain' from death penalty, Florida Today, July 1, 2017: This column is written by a woman whose son, her son's girlfriend, and their 5-year-old daughter were murdered over 11 years ago; she explains why she does not believe the death penalty is "just" explaining: "Politicians champion the death penalty while they campaign and are in office, and then they retire and move on, never having to deal with the reality of it. Meanwhile, families like mine are the ones forced to suffer the consequences of their political decisions, as we remain stuck in a painful and prolonged legal process." Statement of Rep. Renny Cushing, a member of New Hampshire's Death Penalty Study Commission, Dec. 1, 2010, upon release of the Commission's report. Carolyn Leming and Vicki Schieber "Why Two Mothers Back Death Penalty Repeal" The Gazette, Feb. 16, 2007: This article talks about the tension between protecting the innocent on the one hand and dragging the process out for victims' families on the other, and how those two can't be reconciled. Vincent Lupo, "Gray Rules Guillory May Ask For Mercy," American Press.com, May 9, 2003. - This article focuses on Lorilei Guillory, the mother of a 6-year-old Iowa boy murdered 11 years ago. Guillory wantsto be allowed to ask jurors for mercy for the man who allegedly molested and killed her child. Judge Al Gray said he will allow Guillory "to testify and ask for mercy if she wishes" during any penalty phase, but prosecutors are appealing the decision ot the Louisiana Supreme Court. Murder Victims' Families for Reconciliation filed an amicus curiae brief in the Louisiana Supreme Court in support of Lorilei Guillory's effort to testify in the penalty phase of the trial of the man who murdered her 6 year old son Jeremy and to express her opposition to the execution of her son's murderer. Read the brief. NPR: STORYCORPS: Recording America "Father Finds Peace in Forgiveness" - Hector Black's daughter was murdered after she surprised an intruder in her Atlanta home. In this powerful recording, Black discusses how he found peace in forgiving the man who murdered his child. Post Traumatic Stress Disorder (PTSD) Alliance - provides educational resources to those at risk of developing PTSD. Murder Victims' Families for Reconciliation - a national organization comprised of family members of murder victims and family members of those who have been executed. Advocates alternatives to the death penalty, crime prevention programs and supports programs to address the needs of victims of violence. Journey of Hope...from Violence to Healing - is an organization led by murder victim family members joined by death row family members, family members of the executed, the exonerated, and others with stories to tell, that conducts public education speaking tours and addresses alternatives to the death penalty. California Crime Victims for Alternatives to the Death Penalty - is a coalition of families, friends, and loved ones of murder victims who oppose the death penalty. The coalition supports families, friends, and loved ones in telling their stories and being heard. Victim Offender Mediation Association - provides resources, training, and technical assistance in victim-offender mediation, conferencing, circles, and related restorative justice practices. New York Victim Voices - Family & Friends of Homicide Victims come together to share experiences, knowledge and peaceful strategies to foster a safer, stronger community. Families of Homicide Victims and Missing Persons, Inc. (FOHVAMP) - is a nonprofit organization working in Colorado to find, support and empower families suffering from a loved one's murder or long-time disappearance. Restitution Incorporated - a nonprofit organization dedicated to promoting healing between offenders and victims by helping offenders make restitution for their crimes.